Every agent has been there. An offer is accepted on your listing but you’re out in the field and can’t update the status until you get back to your computer. The HomeSpotter app has you covered! 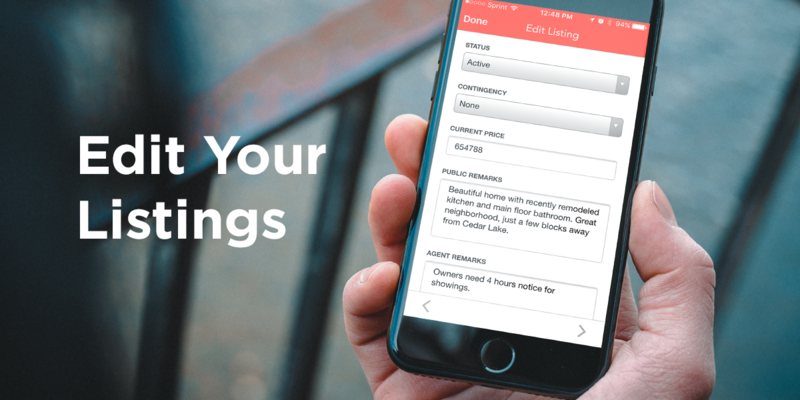 To edit, simply go to My Listings in the new HomeSpotter app, bring up a listing and tap Edit Listing under the Integrations section of the Highlights tab. How do you get started with HomeSpotter? HomeSpotter holds free training webinars every Tuesday at 1:30pm for agents. Sign up here for the Intro to HomeSpotter webinar. See the updated HomeSpotter app in action! Check out a short video here!